Princess sets up to tweak and improve one if its current best sellers the 64 model. As the above picture shows the Princess 64 features a revamp to the optional hardtop, with a grey hull finish and an updated new style. The interior also has been updated and features a new more contemporary style. This improvement to the 64 also features a single glazed window serving the owners midships stateroom, instead of the four parts style of the older version. 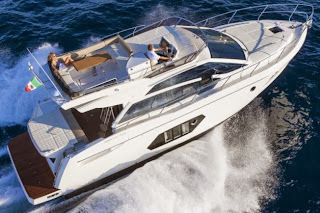 The Princess 64 presented in the fall of 2010 was a further evolution of the 62 model, with most of the changes happening to aft; dual port and starboard transom doors, and larger extended bathing platform with high low hydraulic tender launch. 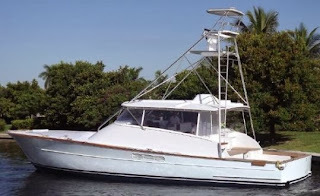 One of the most sought out features of both the Princess 62 and 64 was its four cabin layout and the feel of a much larger motor yacht, thanks to a clever use of height, a theme which the Plymouth builder has followed a lot since then also in its smaller models. Its a new era for Post who are presenting three important new projects. The Post 42 Open, is the first express sportfish model offered by the 1957 founded boat builder. 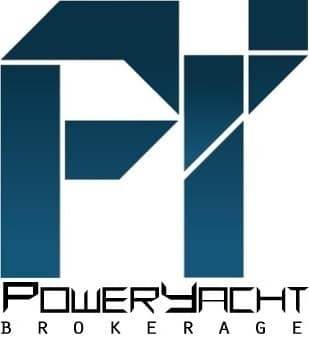 This new project is built to showcase the new era of Post Yachts since a couple of years also located in Maryland, out from New Jersey and by the specification on the web site seems to be based on the hull of the standard flybridge convertible 42. The 42 Open will be the first Post to also be offered with pod drive propulsion, a center console style bridge deck, and functional interior layout options that utilize all available interior space. 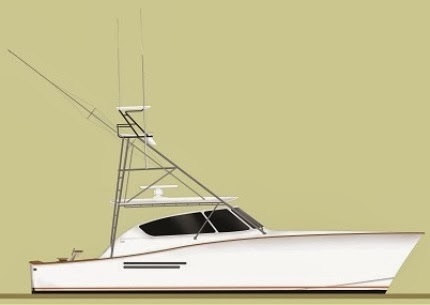 So far no layout details are shown of the new 42 Open, but Post do have a fame for offering comfortable and well laid interior layouts, without loosing touch of the fishing abilities served by its cruisers and yachts. Silverton presents its new World wide web showroom. Founded in 1969 Silverton has in 2012 became part of Dr. Troicki Egg Harbor Group which features four other important brands in its family; Buddy Davis, Egg Harbor, Predator, and Topaz. 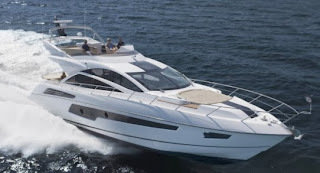 With Silverton Egg Harbor also purchased its top of the line yacht brand Ovation which features two models. Silverton currently offers twelve models divided into five lines; Convertibles, T-Series, Sport Bridges, Motor Yachts, and Sport Coupes. The entry level Silverton is the 33 Sports Coupe, while the flagship is the 50 Convertible. Silverton latest models are the 36 Convertible, and 43 Convertible. 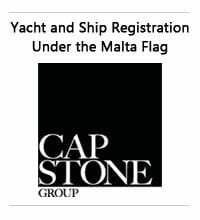 Silverton new web site takes you around with the following buttons; Silverton Home, Models, Our Vision, News, Boatshows, Luxury Yachts, and Silverton Family. As is a standard nowadays Silverton also features side links to its Facebook and Twitter, social media pages. 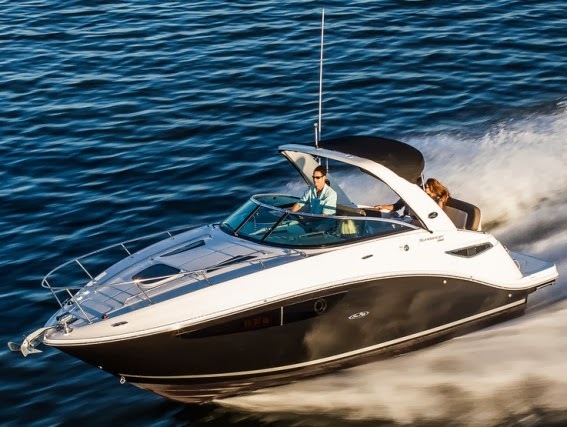 Its always nice to see Sea Ray always interested in the lower entry level part of the sport cruiser market, more so is a note that the US builder has always produced quality products in this size segment able to compete in a global market. 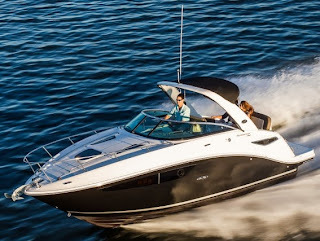 This new Sea Ray 260 Sundancer is the entry level into its Sport Cruiser range which spans up to 37 feet and features a total of ten models. From a photo point of view this new 260 Sundancer offers good looking nice exterior lines, which are complimented by a nice interior layout sleeping four persons in a convertible Vee shaped dinette to fore, and a double berth amidships. 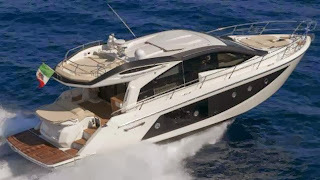 Other interesting details which think larger boat comfort for this new 260 Sundancer, are also a large bathing platform able to host a small tender, and diesel engine choice. Considering all that is good for just eight meters in over all length. 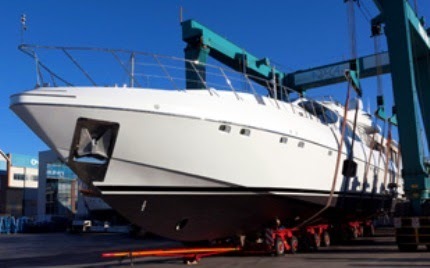 Continuing its strategy and investments on the development of new products, Intermarine, the leading shipyard in luxury yachts in Brazil, pre-launches the 48 Offshore at the Sao Paulo Boat Show 2013. The new model marks the return of Intermarine to the fast sport cruiser segment, in which the shipyard participated with many successful models throughout its history. 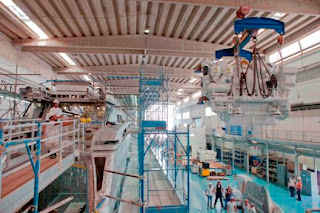 Now Intermarine comes with a new approach to this kind of boat with a perfect mix of nice lines, luxury and speed. 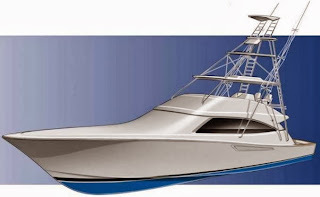 With fourteen meters plus in length overall, the new 48 Offshore is certified to carry up to 12 people. 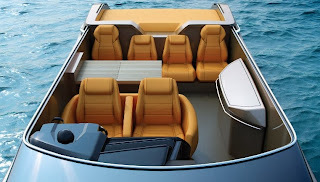 It is a sportive yet sophisticated boat. It was developed by Intermarine´s team for the owner who wants a boat for the day use with performance and refinement, but in all this also featuring a nice overnight cabin for two persons. 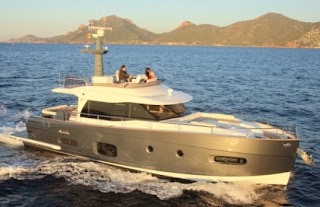 With an aggressive design, the 48 Offshore gets even more luxurious and original with the teak flooring at the bow, surrounding the large windows and hatch that illuminate the interior. 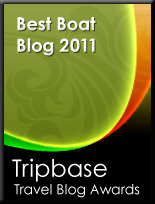 The teak is also included on the swim platform and on the steps accessing the sun bed. 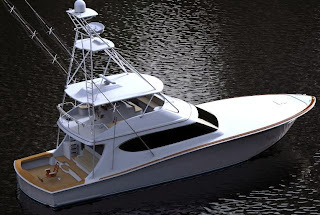 On the cockpit, the 48 Offshore has seats for four, a folding dining table and a bar. The helm station has double seat. 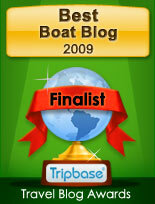 To port, a stair shaped door allows access to the bow area. By sliding the door behind the helm station it is possible to go to the lower deck, where are the salon, cabin and a bathroom. There are two options for the lower deck. One has two sofas on the salon, one on each side. 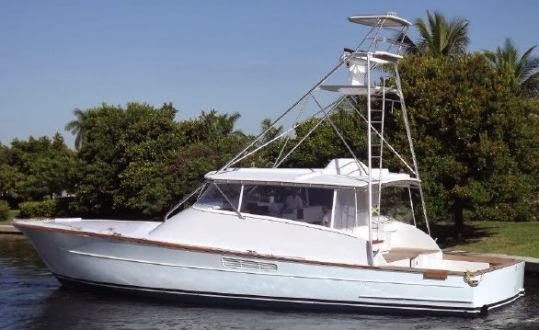 The other has one sofa to port and a galley to starboard with sink, cooktop, refrigerator and storage compartments. The 48 Offshore is powered by twin Volvo 725hp engines and reaches 45 knots of cruise speed and 53 of maximum. 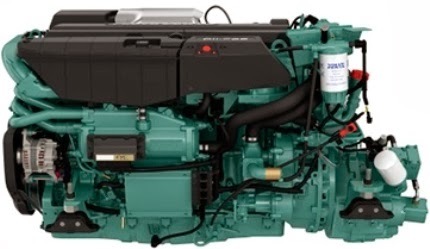 For those looking for more top end speed is an option for a more powerful version, powered by twin MAN 800hp which ends wide open throttle up to 56 knots. Like every Intermarine, the new 48 will have superb finishing, with high quality materials and excellent navigability even in the most adverse sea conditions.